So you love everything about your homemade apple pie and everything is cool. End of story, right? I’m guessing probably not. I take that back: I’m not guessing; I know. How? Because in the year and a half that I’ve had The Pie Academy up and running, I’ve heard from many home bakers who aren’t feeling the love with the apples pies they make. 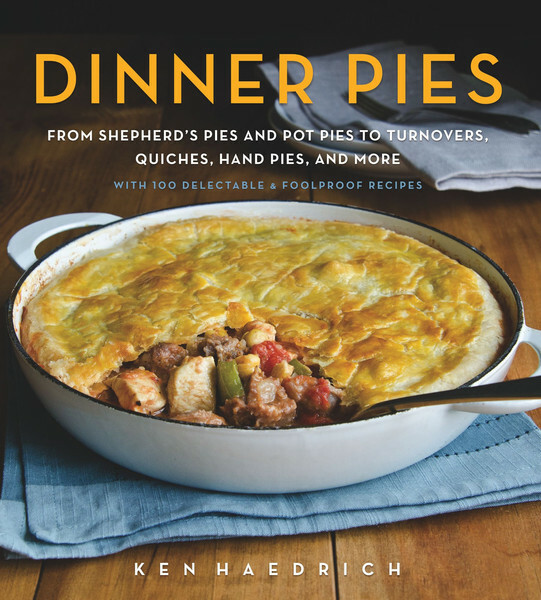 APPLE PIE by Ken Haedrich, Dean of The Pie Academy, is available in our online store. 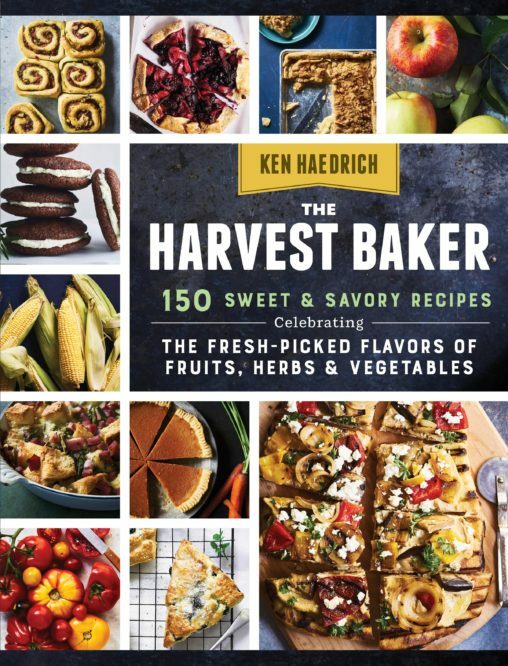 Ken will be happy to autograph your copy for you. 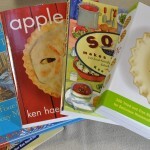 And if you love apple pie, see the related links listed after the recipe below. 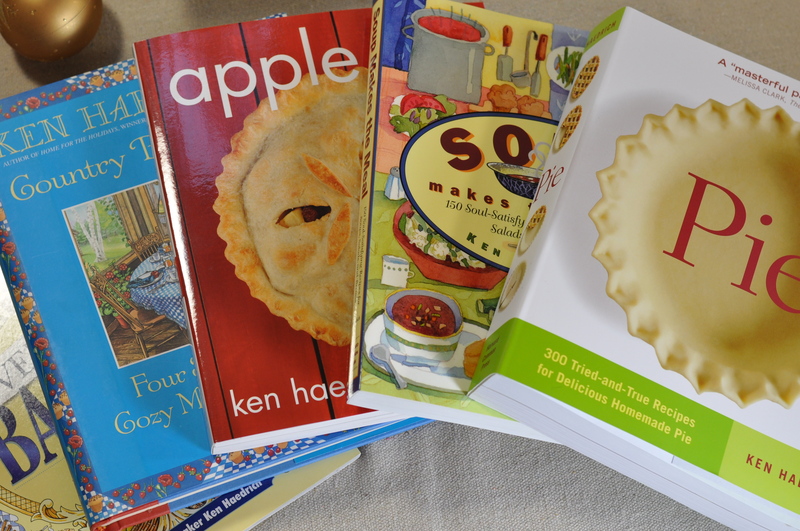 Do I have all the answers to your apple pie issues? No; I’m the Dean of The Pie Academy, for Pete’s sake, not the Sorcerer. Nonetheless, I’ve tackled a few of them in the video above. The video won’t make you an expert apple pie baker if you’ve never made one before. But it will give you a way to UP your game if you’re already IN the game of making the occasional apple pie. Fair enough? Let’s Talk About That Browning Business for a Moment, Shall We? I repeat this often, though I’m not sure anyone really listens, but short of full scale incineration I wouldn’t worry too much about your pie if you see some browning here and there. I’ll be the first to admit that my pies often brown a bit. I’ll even show you a picture of the one I baked yesterday. See? A tad dark at the extremity, right? 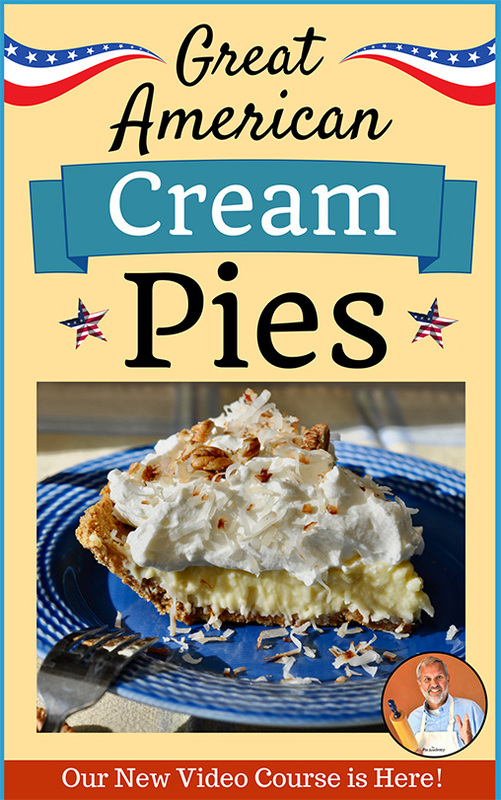 Besides, browning – when it is an issue – typically happens around the upper edge and affects probably less than five percent of your pie’s real estate. That’s not bad. Certainly nothing worthy of a pie meltdown. That being said, you can often reduce over-browning of your crust by cutting back the sugar in your pie dough recipe to 1/2 teaspoon. This will help. And you can also employ a handmade pie shield. Chronic over-browning could also mean your oven needs to be professionally calibrated, so keep that in mind, too. One more thing about that edge: don’t feel like you have to get all fancy schmantzy and put a ruffled, fluted, checkerboard, or pastry cutout edge on your pie every time you make one. 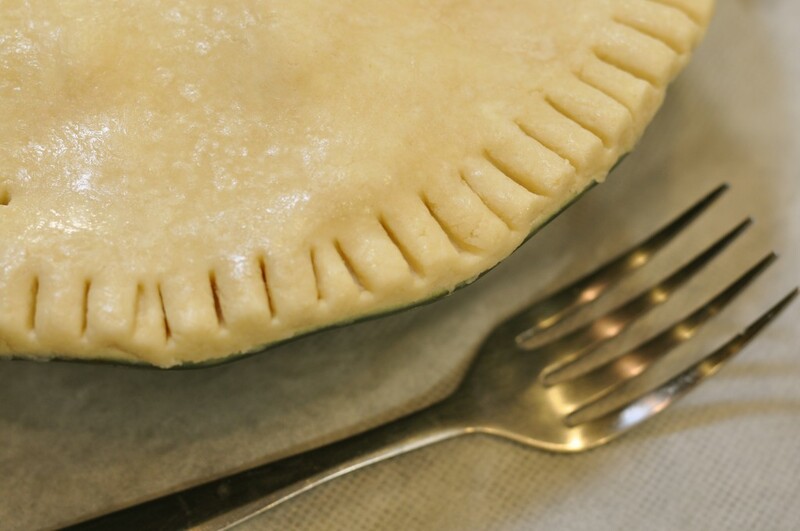 When I’ve got a full cooking schedule…dinner to make…work piling up, and other pressing matters, I don’t hesitate to put a simple crimped edge on my pie with a pastry fork. I have to tell you, this big pastry fork is – by far – the kitchen implement I use more than any other. Pie dough…mixing batters…omelets…hacking off glacier-like chunks of feta cheese…lifting pickles from the depths of a jar – I do it all with my pastry fork. Get one. The video talks about one of my little tricks for getting more apples in your apple pie: cooking them ever-so-slightly ahead of time, so they shrink a little. 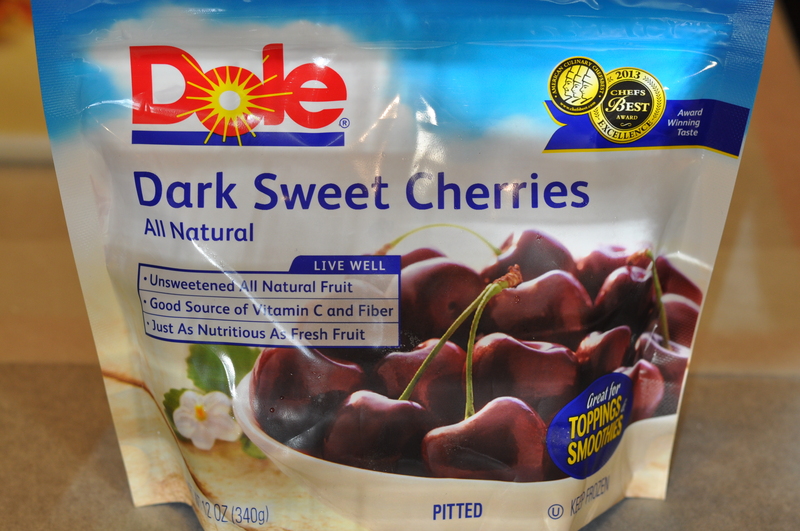 I did that with the filling you see here below – in which I’ve included a cup of dried cranberries just for fun – and I’ve got about 10 cups of apples taking up the space that would normally hold 8 cups. It just makes for a fuller pie, which most people like. I should stress that this is by no means a required step when you’re making an apple pie. But the question comes up, so I thought I’d address it in the video. 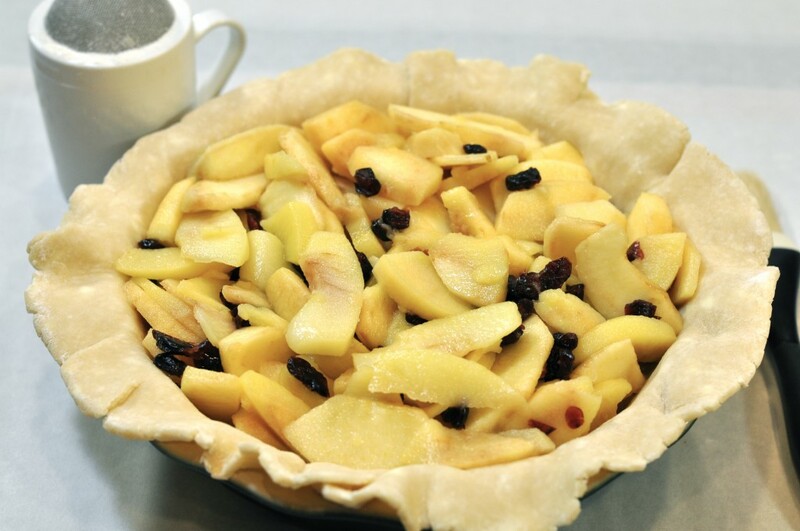 When I’m making a deep-dish fruit pie, this recipe is my first choice for pie dough. Many pie dough recipes aren’t big enough to line a 9 1/2-inch deep-dish pie pan generously, but this one is. It can be made both in the food processor and by hand, so take your pick. Do you see what looks like white splotches in the dough? That’s what you want. Those are pieces of butter than have been flattened out in the rolling process and the very thing that makes your pastry flaky. Now here’s the apple pie, covered with the top pastry and glazed with a little milk. Those holes – which I make with a paring knife, twisting it a little to enlarge the holes – are little steam release vents, lest the top crust puff up too much and crack at the edge. They’re also a place where you can watch the juices, which will bubble up thickly through the holes when the pie is done. Enough talk. 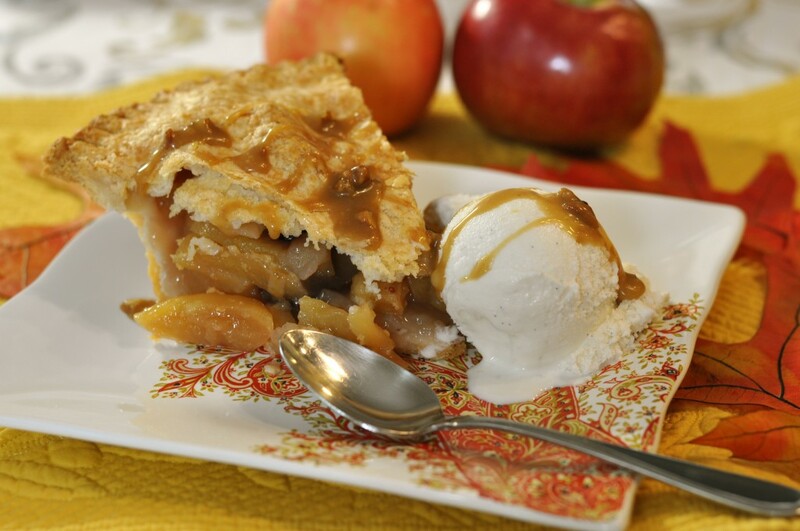 Watch the video and make an apple pie. Here’s one good recipe below, incorporating a couple of the points I speak about in the video. 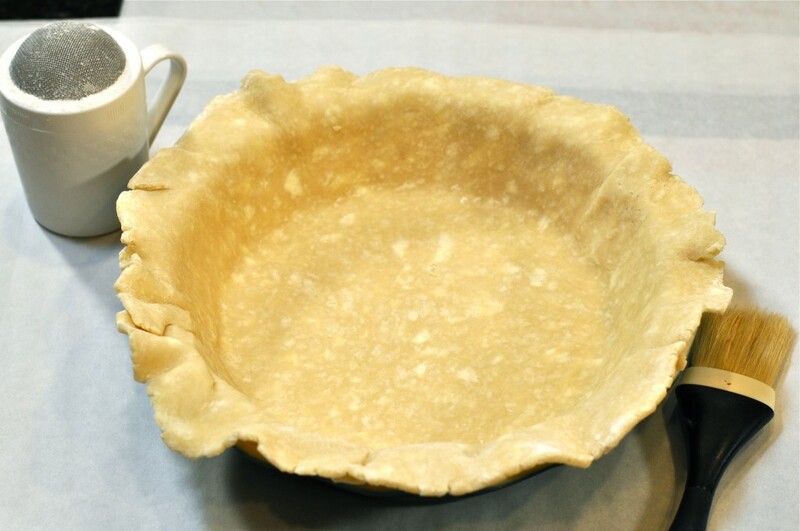 As for the pastry, you will have to make it twice if you want a top and bottom crust. 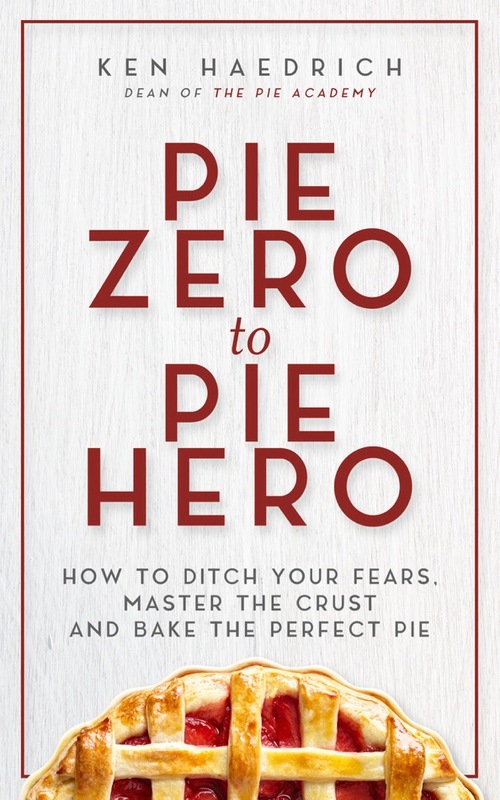 I don’t have “doubled” pie dough recipes on this site – yet – because I’m of the opinion that you get better results making a single recipe twice rather than doubling it. Eventually I WILL have doubled recipes, just not yet. Besides, once you have all your ingredients out, it only takes an extra couple of minutes to make it twice. Let me know how it works out for you. 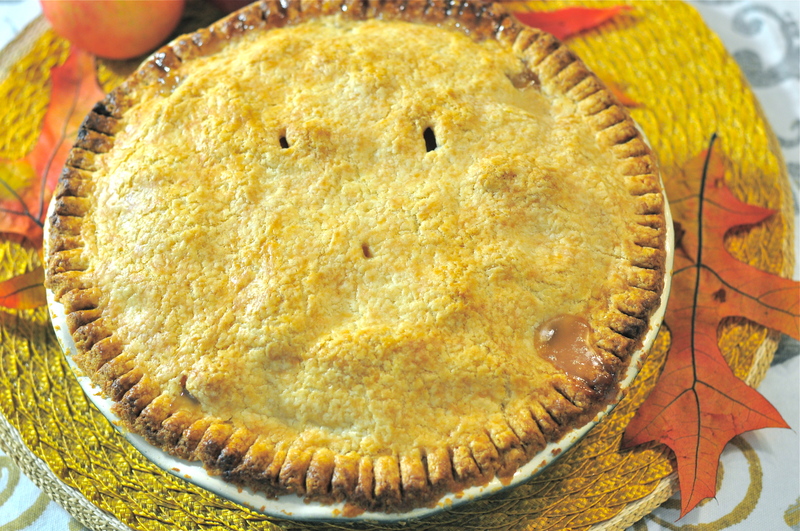 And check out the related stories, below the recipe, including one on which apples to use in your apple pies. Friends: If you enjoyed this post or video, I’d love it if you forwarded the link to a baking friend or anyone else who might enjoy The Pie Academy. Thanks a million. Adjust one of your oven racks so it is one position below center. Put your second rack below that one in case you need to catch drips; see step 7. If you don't have a second rack, you have my permission to go buy a new oven. On a sheet of lightly floured wax paper - or on whatever floured surface you prefer - roll one piece of the pastry into a 13- to 13 1/2-inch circle. Invert the paper and dough over a 9 1/2-inch deep-dish pie pan, center it, and peel off the paper. Tuck the pastry into the pan, without stretching it. Let the edge of the pastry rest on the edge of the pan. 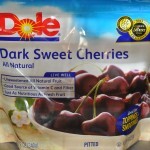 Refrigerate while you make the filling. Put the apples in a large, heavy, enameled or nonstick pot and add a couple of tablespoons water or cider. With the heat on medium high, warm the apples for a few minutes, stirring often, just until the pot steams a bit and the apples seem to "relax." YOU'RE NOT TRYING TO PRECOOK THEM, BUT SIMPLY RELAX THEM A BIT. Transfer the apples to a large bowl and cool for 5 minutes. Mix the sugar with the cornstarch in a small bowl. Stir into the apples along with the lemon juice, spice, salt, and raisins or cranberries. Set aside for 15 minutes, stirring occasionally. Preheat the oven to 400°. 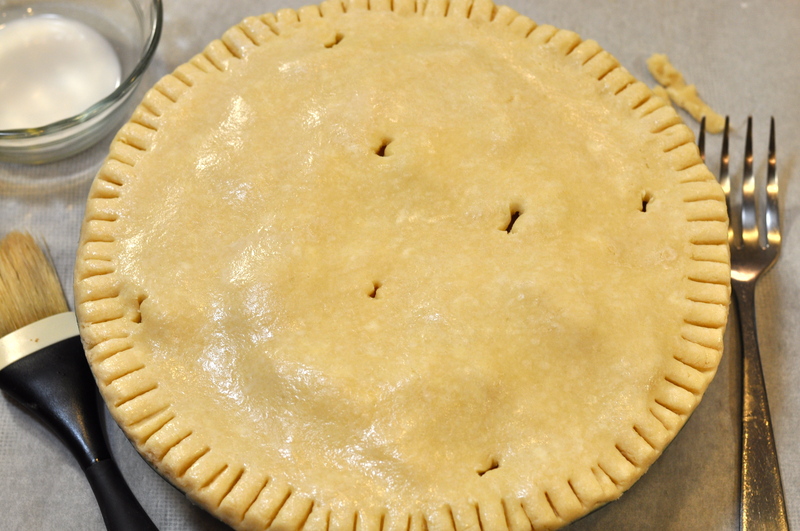 After 15 minutes, turn the apple filling into the chilled pie shell. Smooth the top so no apple points stick up. Using a pastry brush, lightly brush a little water around the rim of the shell where it will meet the top pastry. Roll the other piece of dough into a 12-inch circle. Drape it over the apples and press along the edge, to seal. Using a paring knife, trim the dough flush with the side of the pan. Now take a large fork, preferably a pastry fork, and press along the edge with the back side of the tines, to crimp. Make 6 steam vents in the top pastry with a paring knife, twisting the knife slightly to enlarge the holes. Brush the top pastry lightly with milk or light cream and place in the oven. Bake for 10 minutes, then reduce the heat to 375°. Bake an additional 40 to 50 minutes, until the crust is golden brown and you can see juices bubble thickly through the steam vents. If the pie starts to bubble over, slip a footlong piece of foil onto the oven rack below the offending spot to catch the juice. Transfer the pie to a rack and cool for at least 1 hour before serving. Makes 10 servings. Note: You may be wondering about the sauce on the pie in the photo. 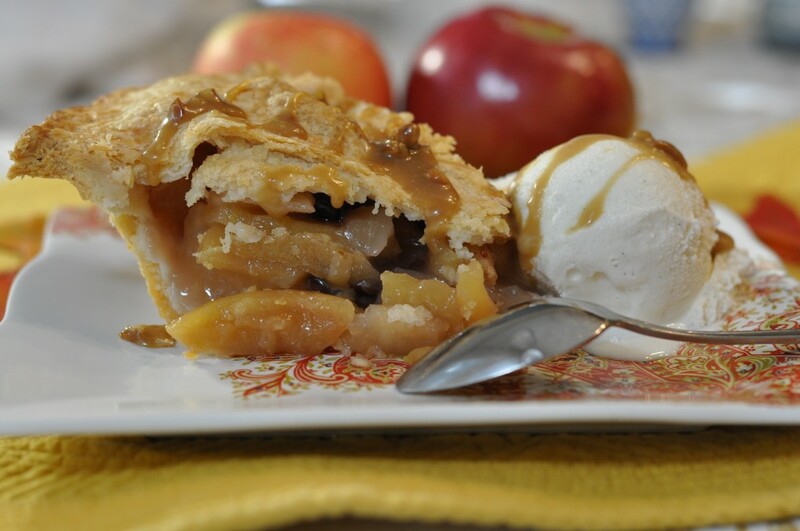 It's caramel sauce that was getting lonely in the back of my fridge - always a good finisher for an apple pie!